Deanna Troi should be numer one - AKA Marina Sirtis, she shops in my local supermarket - I have personally seen her buying D-cup bras and G-strings - oops sorry, that should be yoghurt and bread, slip of the keyboard... OK, one can but dream :-) But, cor, what a stunnner! 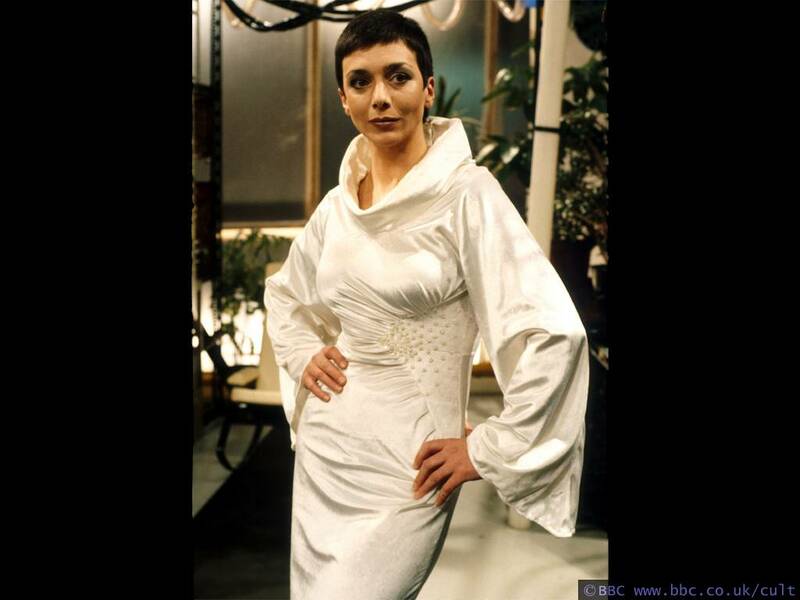 No Servalan! I'm aghast! And no Barbarella! And no Uhura! I'm scandalised! Love the pictures. Hugh Scully, where did you pick that up from guys? Well it's a good top ten, got you guys talking. If I had posters up, I think the wife would be a bit miffed. I have to keep my filthy little habits to myself, inclusing podcasting! Podblaze.com Rob or Jon has to submit as it is owner only submissions. Oops! PocketCasting.com superfluous 'd' in there, soz. They are a weekly 2 hour show with sponsors and all, not PC, but can be fun. Diane - a show for the ladeeez? We have a great record of upsetting groups of people that we don't understand, so upsetting half the listeners is gonna be risky. Top Ten other podcasts? We were thinking of that, but why listen to us when we have podcast alley to rate the best ten? See the Top 10 Podcasts Lists for 10 different directories all on one page. I refuse to budge from the 80's - Jon refuses to do a list or a script, so you are all going to have to suffer with my wonderful taste in decades. I hereby promise to do a list and a script by this time next week. I am working on a script - it's just stuck in my head for the last 3 weeks. Why does the ipod not sort podcasts properly? At least mine doesn't seem to. They're nicely organized in itunes but on my ipod they don't seem to be any kind of order at all, in the podcasts playlist. They're sorted a bit better, by going into music, genre and podcast, but that seems to sort them alphabetic order rather than date order.